Portland is a proper noun. 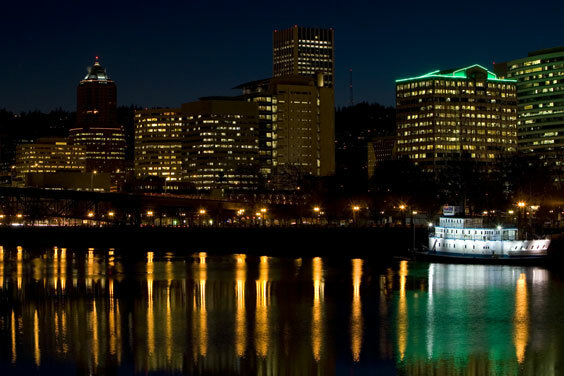 Portland is (1) largest city in Maine in the southwestern corner of the state, (2) freshwater port and largest city in Oregon; located in northwestern Oregon on the Willamette River which divides the city into east and west sections; renowned for its beautiful natural setting among the mountains. The following articles provide more information about the proper noun Portland. Description and photograph of Portland, Oregon. The photo shows the City of Portland skyline, with the Willamette River in the foreground and rising hills in the background. Portland, Maine business directory, demographic information, and street maps. Portland, Oregon business directory, demographic information, and street maps. Recent news from selected news sources about the Portland metro area plus a photograph and interactive maps of Portland, Oregon. The following articles provide recent Portland-related news. Reuters. Wednesday, 24 Apr 2019 02:08:21 -0400. By Nick Crain, Contributor. Forbes. Wednesday, 24 Apr 2019 01:34:00 +0000. NBA Twitter came after a troll hard after the person tweeted a hateful message toward ESPN reporter Royce Young after a game between the Oklahoma City Thunder and Portland Trail Blazers on Sunday night. Ryan Gaydos. Fox News. Tuesday, 23 Apr 2019 16:43:20 GMT. ABC News. Friday, 19 Apr 2019 18:50:28 -0400. USA and Portland Thorns midfielder Lindsey Horan is hoping to win the coveted BBC Women's Footballer of the Year 2019 award. BBC News. Thursday, 18 Apr 2019 05:00:26 GMT. BBC News. Thursday, 18 Apr 2019 04:59:25 GMT. Japan Times. Wednesday, 17 Apr 2019 19:17:44 +0900. Hsyndicate. Thursday, 11 Apr 2019 14:30:49 +0200. Washington Times. Saturday, 06 Apr 2019 16:58:23 -0400. The following digital image illustrates the proper noun Portland.